Sorry No Need For LCTs! 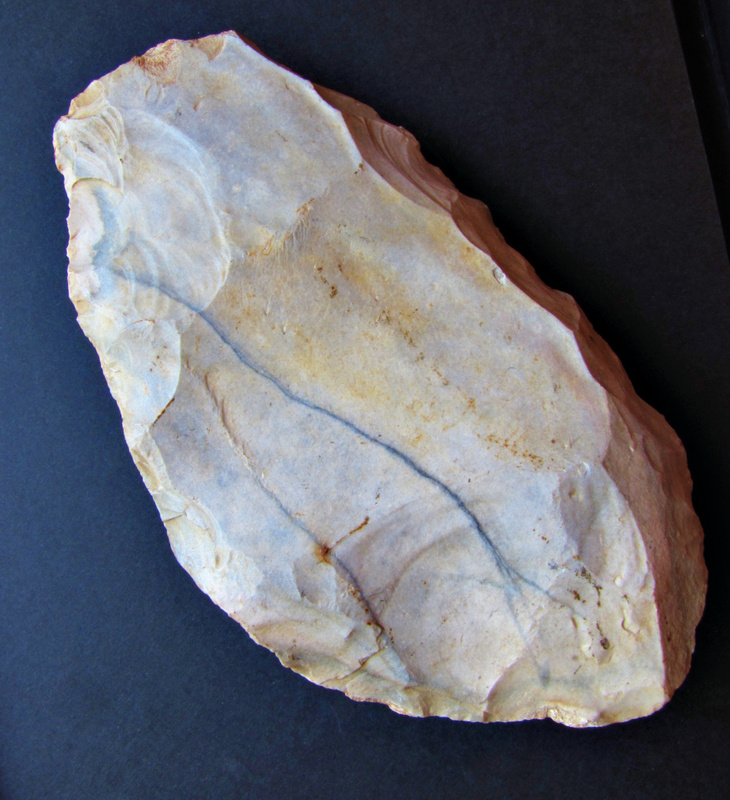 This is a 14 cm long Flake Cleaver from the Bergerac Region, a surface find from the 1920ies. 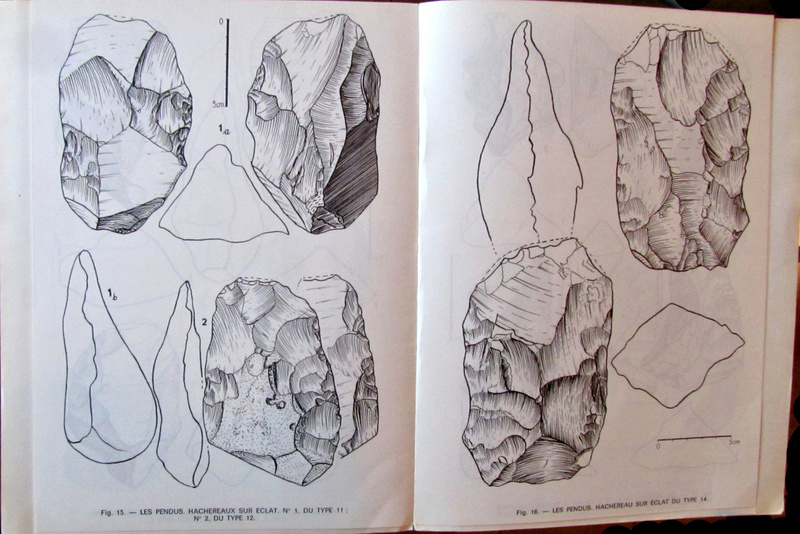 In contrast to Europe the hallmark of many African Acheulian sites are Large Cutting Tools (LCTs), made from “giant cores” primarily handaxes and cleavers. This mode of production was first recognized by Isaac during the 1960ies. LCTs very likely emerged in East Africa but have been reported from a wide range of areas, spanning South Africa, Israel (GBY), the Caucasus Region, Eastern Georgia to India (and even beyond the Movius line). They are also found in the Iberian Peninsula. Europe beyond the Pyrenees, with the important exception of a small, narrow stretch along the Garonne and Tarn Rivers in Southern France, where flake cleaver were made on Quartzite, seems to be the only larger region with a quasi absence of LCT Acheulean. It is therefore of importance that the LCT technique was also observed in Flint in the Bergeracois region (Cantalouette, les Pendus and Barbas). This was first observed and published by J and G Guichard in 1966. According to their systematical work about Bifacial and Flake Cleavers at les Pendus, the Cleaver shown here fits the defination of a flake cleaver with bilateral longitudinal retouches and bilateral beveled edges (with several transversal tranchet blows on one side; Type 14; Figure 3). Large Flakes are an important prerequisite for the production of Flake cleavers made on Quartzite or Flint. In Europe, raw material constraints cannot be regarded as an explanation for the quasi absence of Flake cleavers. 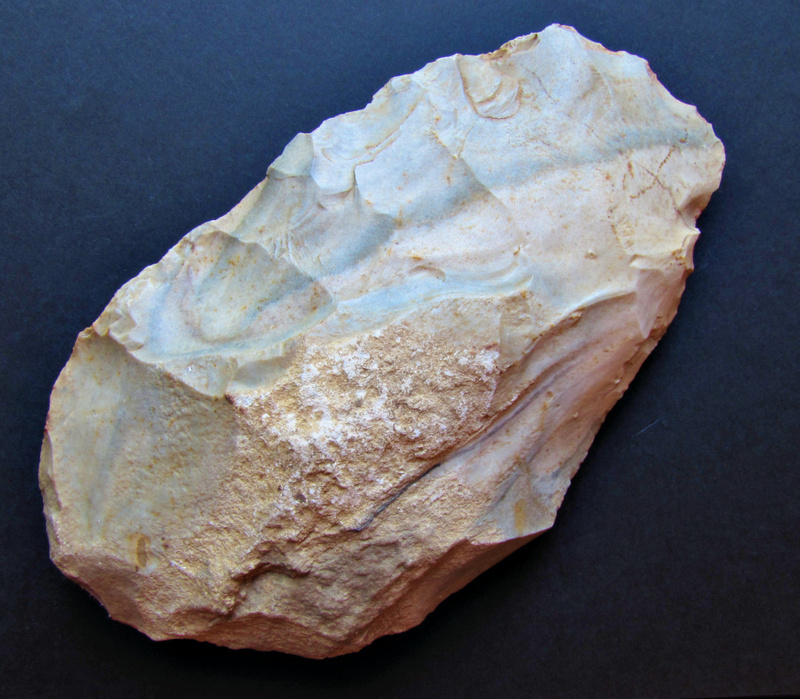 The production of "Giant Cores" and large flakes on flint would have been indeed possible in Europe, for example in the Bergerac Region, in the Tourainne , in N-France and the UK. The same holds true for several high quality Quartzite resources outside the Garonne and Tarn. The reasons for flake cleaver manufacturing in Europe at discrete regions have been debated since the first discoveries of these industries. Obermaier (1924) and later Bordes (1953) asserted that the presence of flake cleavers indicates an “African influence” linked with the migration of Acheulean populations (Bordes, 1953). Anyhow, there is currently no archaeological evidence to demonstrate a chronological continuity between the Acheulean in Africa or at GBY (800 k.a.) and the Middle Pleistocene Acheulean of Europe. The appearance of the Acheulean in Europe north of the Pyrenees is dated to ca. 700–500 k.a. , Hundred of thousand years after GBY. This Acheulean is non-LCT – that means that large flakes are not the main blank technology . Therefore an overarching theory about the very limited production of Flake Cleavers during the Acheulean in Europa is still missing. How to explain a „Negative Tradition“? Guichard, J. and G. Guichard 1966 À propos d’un site Acheuléen du Bergeracois (Les Pendus, Commune de Creysse). Bifaces-hachereaux et hachereaux sur éclats. Aperçu typologique. Actes de la Société Linnéenne de Bordeau 103, Bordeaux.